We were challenged to create a radical Red Bull experience, exploring the company spirit through events across the world. Our goal was to present a different perspective to the existing brand image. We created an installation for users to interact with each other from various exhibition spaces around the world. Team: Aaron Trueblood, Grace Jun, Ka Lu Chan, Miri Park and me, Vicky Yadid. These videos are simulations of the expected interaction. This project wasn't fully developed. Users would interact with particles using Red Bull cans with a sensor attached to the bottom. 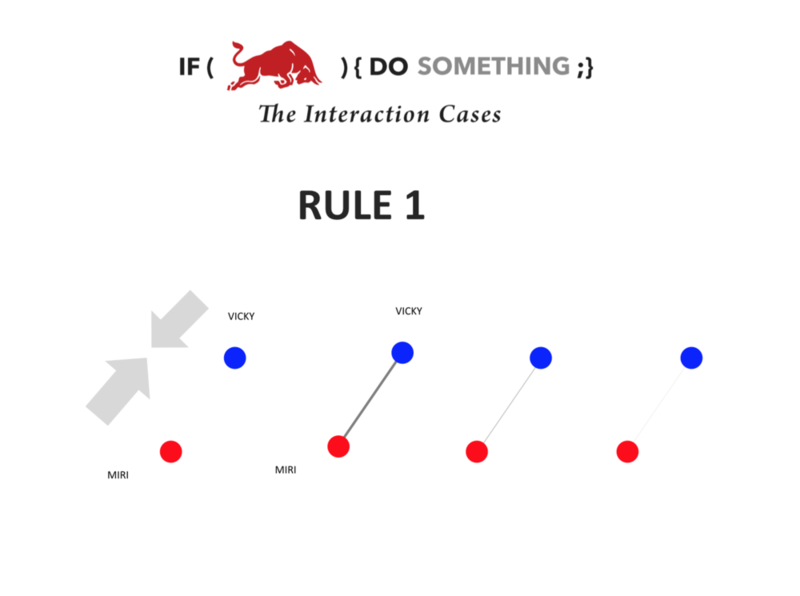 Rules of the interactive experience.